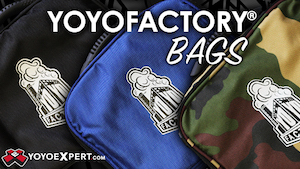 There are few people in the yoyo community who are universally accepted by all as “good people”. The list is short, and Ed Haponik is easily at the top of it. 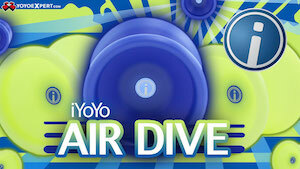 Check out his latest love letter to yoyo play, and get inspired! 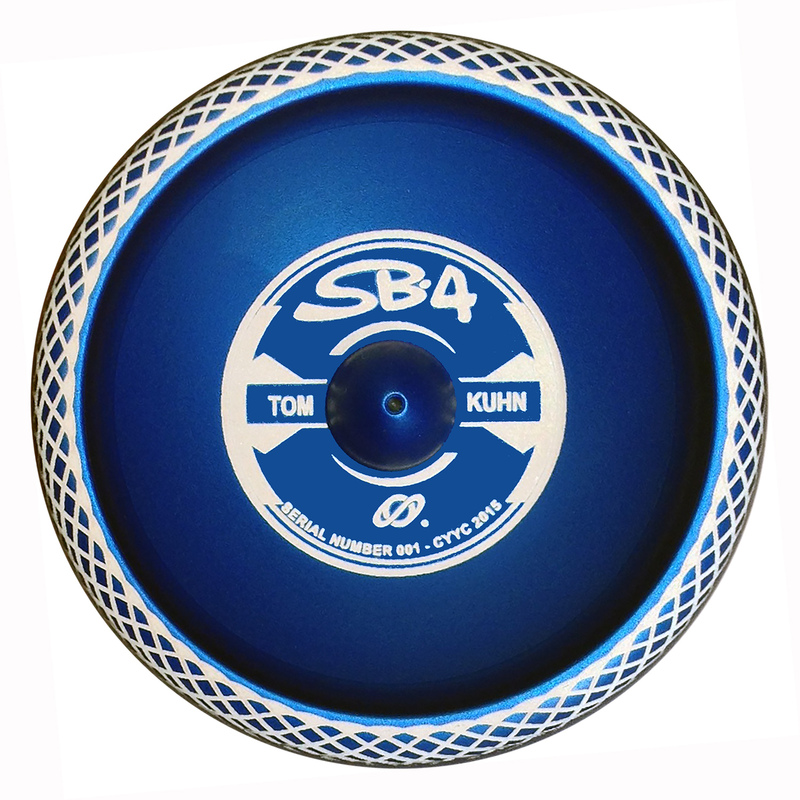 Yoyo used is the Tom Kuhn Silver Bullet 4. The Silver Bullet 4 is the first truly modern performance yoyo from legendary yoyo manufacturer and designer, Tom Kuhn. Designed and produced for them by the Chico YoYo Company, the Silver Bullet 4 brings a new level of performance to Tom Kuhn yoyos! The Silver Bullet 4 is the first bearing model in Tom Kuhn’s long-running Silver Bullet line to come with a fixed gap and a butterfly body shape, and the play greatly benefits. The Silver Bullet 4 plays up to modern standards, and is the first competition-grade yoyo from Tom Kuhn. Light in the hand and fast on the string, the Silver Bullet 4 keeps the classic feel of the original Silver Bullet (the first modern aluminum yoyo!) but brings a new level of performance to the table. Designed in conjunction with the Chico YoYo Company, the Silver Bullet 4 is a true modern player! 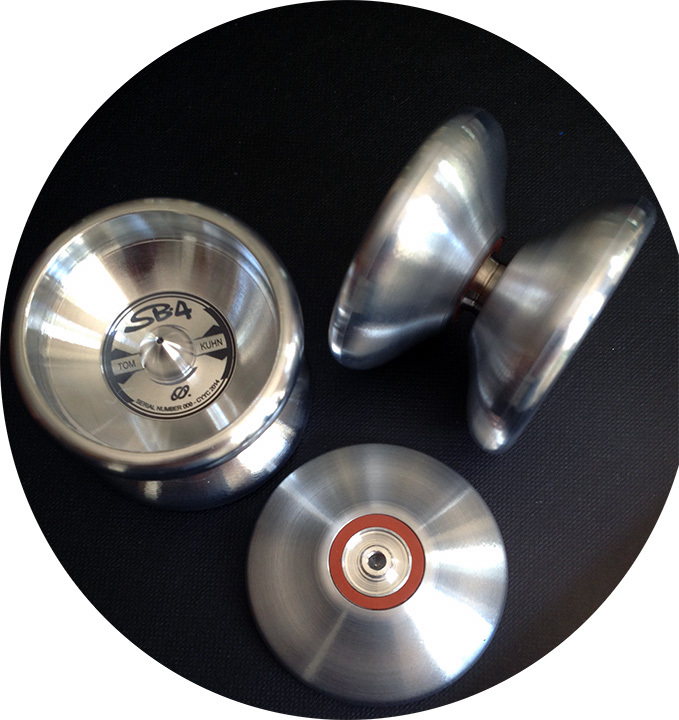 The first release of the Silver Bullet 4 comes in the classic polished aluminum of all Silver Bullet yoyos. 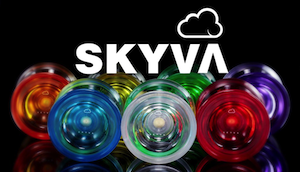 A classic, iconic look from a classic American yoyo company. There are few things that look as nice as a well-polished, raw aluminum yoyo and the Silver Bullet 4 looks great in the hand, on the string, and under stage lights. The classic “bullet” hubs are present, tying the design in with all of the previous models. The first release was classic raw silver, but a new Cobalt Blue Mandala version is available now, only direct from TomKuhn.com. The Silver Bullet 4 retails for $145 – $150, and is definitely not a casual purchase. But with modern performance from a classic brand and small run sizes, this is a great combination of performance and collectibility. The Tom Kuhn Silver Bullet 4 is available at YoYoExpert.com. Tom Kuhn, widely considered the father of the modern yoyo, is releasing the latest in the Silver Bullet line…as a collaboration with the Chico YoYo Company. The Silver Bullet 4 is the first modern competitive yoyo from Tom Kuhn, whose last new design was released in 2008 (the Fat Cat, a slightly reshaped Silver Bullet 2). The Silver Bullet 4 is not yet in production, but is available now for pre-order directly from Tom Kuhn YoYos for $125 each, with a limit of two per customer. You can contact lisa@tomkuhn.com for details and to reserve your Silver Bullet 4. 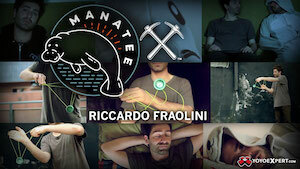 Check out full specs below, and see Nate Dailey putting a prototype through its paces!